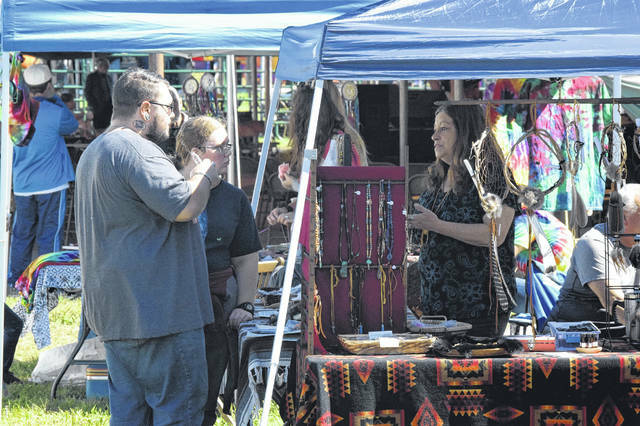 NEW PARIS — The Village of New Paris held its annual Applefest Friday, Sept. 21-Sunday, Sept 23. The apple-themed festival featured food, games, contests, and entertainment throughout the weekend. 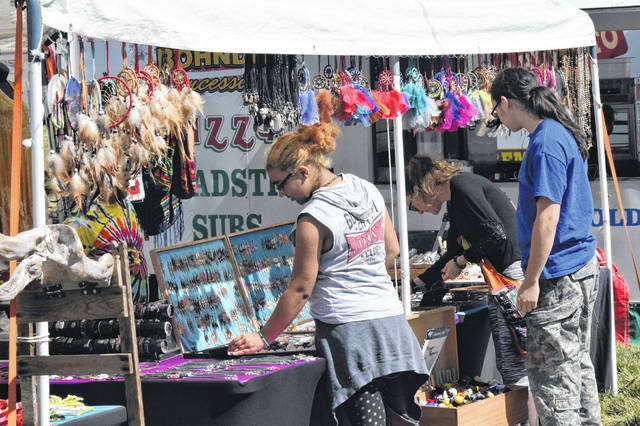 According to Applefest Chair Stacie Foust, the festival brings the community together to have fun and support local businesses and vendors. 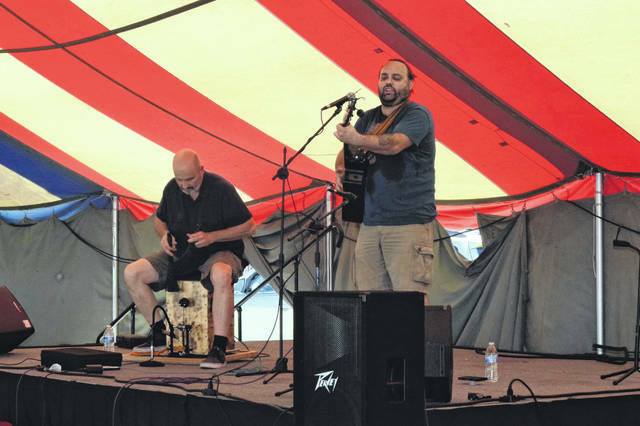 Sponsored by the New Paris Chamber of Commerce and Convention & Visitors Bureau, Applefest was founded in the 1980s, ceased for a few years, and re-started in 2011. Since then, it has been gaining momentum and growing. According to organizers, the festival is meant to give the village residents something to do, and to bring visitors into New Paris. 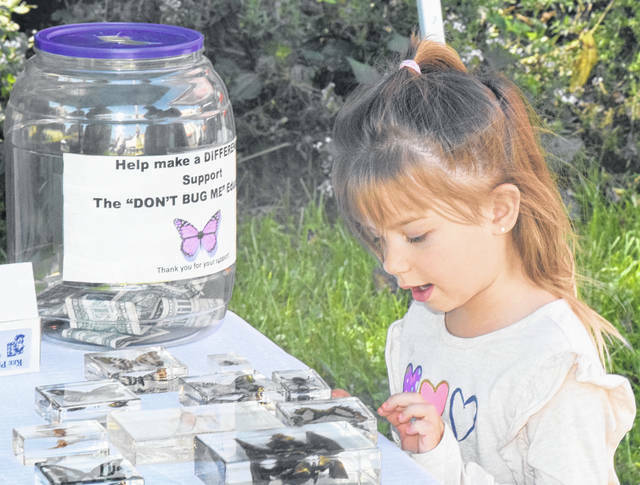 “[Applefest] is a good opportunity to get the community to spend the day together. 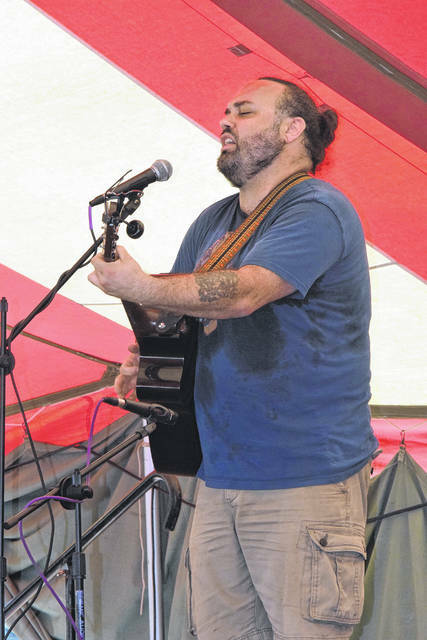 This year we brought a lot of live music in, which we do every year, but the addition of the Battle of the Bands helps out a lot, having the final round out here on Friday night,” Foust said. 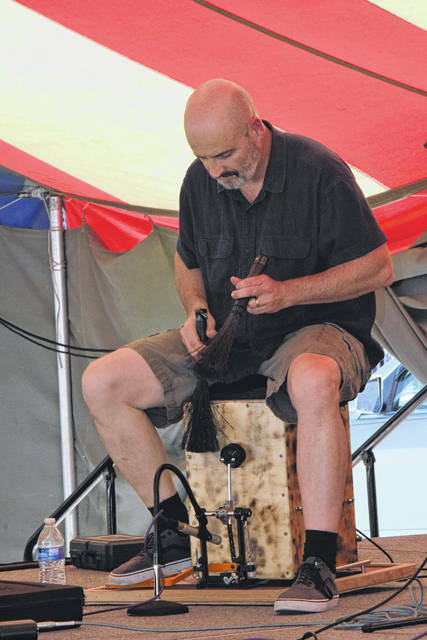 The festival gives the village an excuse to come together and build that sense of community. Wesler Orchards has been in New Paris for several generations and they were the heart of the Applefest when it was first created. Foust wants to get back to those roots by including all the natural resources and celebrating their contributions to the community. 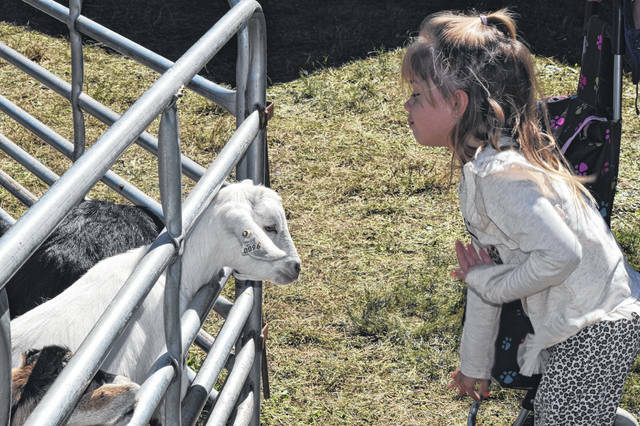 “Applefest is something fun to do with your family. We added more seating this year, so people can hang out and visit. There is good food to eat, games to play, and we have Olde Schoolhouse Winery. People spend too much time at home on the screens, so we want to get people outside into the sun. 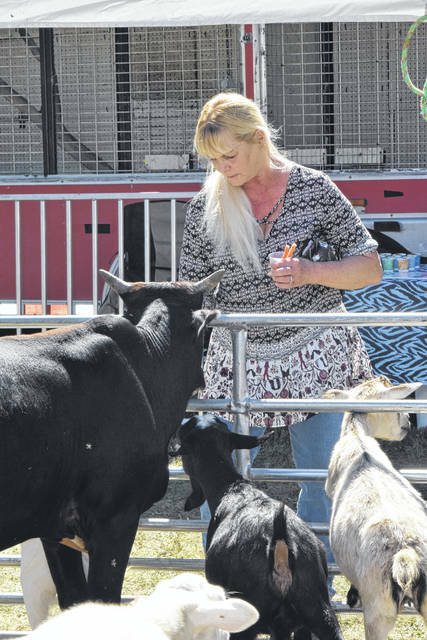 We were blessed with great weather this weekend,” she said. 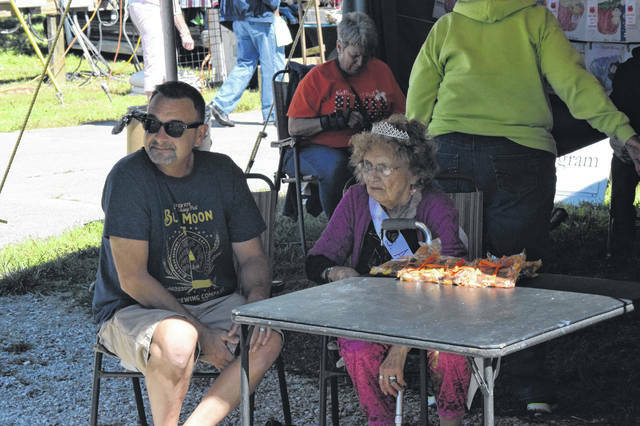 “The Applefest has been going on since I was a little kid. We had a few years where we took a little break from it, but its back now. We have a hard working committee. I like seeing people coming out and having a good time. It is fun, some of the traditions we keep alive,” she said. Sponsors include: Wesler Orchard & Valley’s Edge Carle Foundation, Reid Health Alliance/Reid Health, Bill Floyd’s DJ Services, Wallace Heating & Air, Hometown Propane & Oil, Bud Reid Garage, LCNB National Bank, Natural Springs Resort, Riegel Feed & Grain, Olde Schoolhouse Winery, Southern Comfort, Bill Sweet/Big Hill Real Estate, New Paris Antique Mall, Today’s Harvest, Shane VanZant & MVCTC, Coblentz Agency, Village of New Paris, Farmers State Bank, Mideast Machinery Movers Inc., and American Legion Post 360.